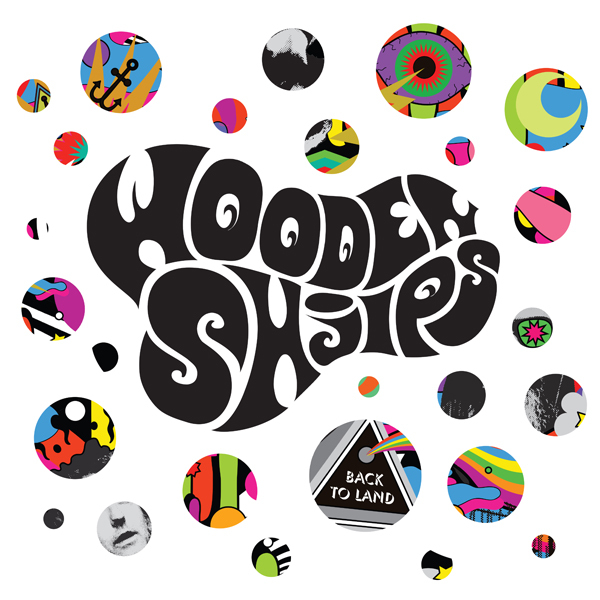 Back To Land is psychedelic rockers Wooden Shjips’ fourth LP, and first since leaving their native Bay Area for Portland. It’s curiously named, since, after its three more solidly navigated musical journeys, the Shjips (sic), this time out, seem adrift at sea. The album’s titular opener sets bandleader Ripley Johnson’s quiet mumble to breezy guitars and a Kraftwerk-ian groove, coasting along for five minutes before fading out, unresolved. The remaining seven songs chart a similarly nomadic course, only occasionally allowing leisurely solos and warbly organs to elaborate on their iterate base progressions. As a guitarist, Johnson is accomplished and has his moments, like the raucous, trippy “Servants” and warm, nostalgic “Everybody Knows.” Too often, though, he stays reined in by the songs’ rigidly repeating structures. Such sonic hypnosis can be effective — bands like Baltimore’s Lungfish have built whole careers on it. Yet where that group used cyclic compositions as canvases for the whacked-out poetry of its singer, Daniel Higgs, Johnson is more of a cipher of a frontman whose sleepy, unintelligible whisperings seem like placeholders for lyrics yet to be written, compounding the material’s already spartan nature. Ultimately, Back To Land is a little too much “vibe” and not enough “oomph” — a not unpleasurable 40-minute cruise, but one which sometimes feels longer. And considering Johnson and his bandmates are operating in an increasingly crowded neo-psych-rock field, it’s going to take a stronger wind than this to push it from the horse latitudes.